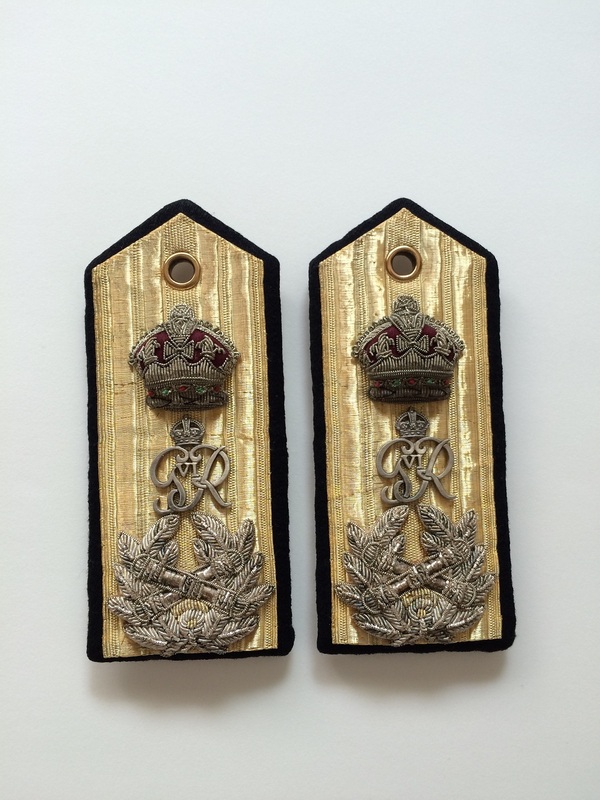 I've just chanced upon a really magnificent pair of Royal Navy Admiral of the Fleet shoulder boards and I thought I'd share some pictures with you! These boards are in really pristine condition with hardly any wear/mothing at all, except for the laces which are slightly stained, and with Gieves maker marks slightly tarnished on one side of the boards. Otherwise they are near perfect! 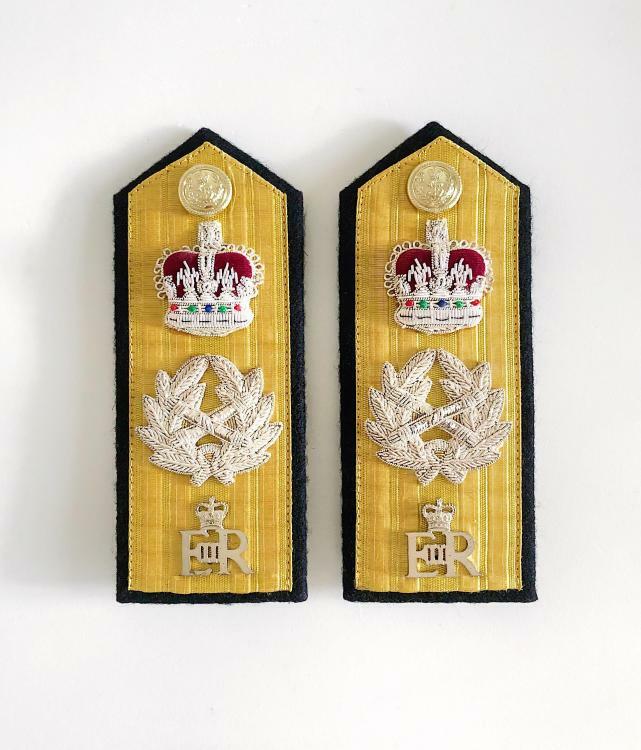 The really interesting thing about this pair is the detailing of the Tudor Crowns, which are very well detailed compared to many other shoulder boards that I've seen. As you can see the middle section of the crown in-between the red felt, the Cross Pattee is clearly woven as compared to many others, which are usually designed with just a straight silver section cutting across the red felt. Feel free to upload some of the naval boards that you guys have and we might be able to see the differences even clearer! Those are lovely! Thanks for sharing them. Those are truly stunning items. I don't often comment on or collect RN items but these are superb. In fact these pictures don't even do justice to them. The gold lace still shines beautifully, and the whole board seems like new despite being made during the reign of HM King George VI (1936-1952). Those are fantastic. 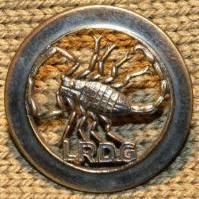 Quite the example of WWII quality and craftsmanship of insignia. Here are a pair I have. They are nice too, but not as nice as yours. Thank you for sharing! Yours are really nice too! wow, it is nice. expensive? Don't worry, you'll get a set, everything turns up eventually. Actually I got it from an eBay bid at a very reasonable price considering it’s an original and the condition is really excellent. But it was just luck as there weren’t many people bidding on it at the time of purchase. Thank you. Yea just as WWIIBuff said, one day you will eventually come across a pair for purchase yourself! It may take awhile but just keep your eyes peeled! You were very fortunate. My pair also came from Ebay, but I paid quite a bit for them. 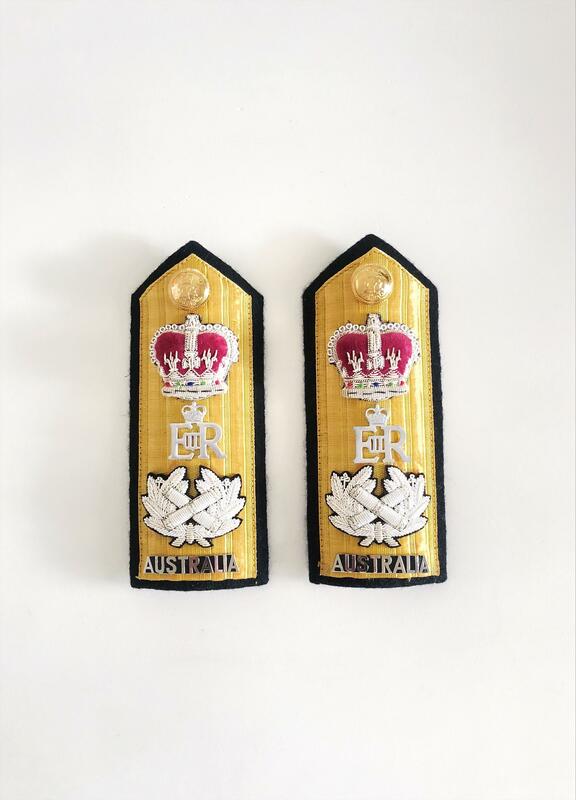 I recently acquired two other Admiral of the Fleet shoulder boards - the first is a pair for the Admiral of the Fleet of the Royal Navy, with cyphers of HM Queen Elizabeth II. The other is a rather interesting piece - the Admiral of the Fleet of the Royal Australian Navy. 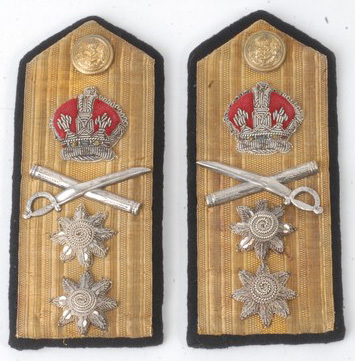 This rank is honorary, and as of today, has only been conferred upon HRH Prince Philip, Duke of Endinburgh in 1954.